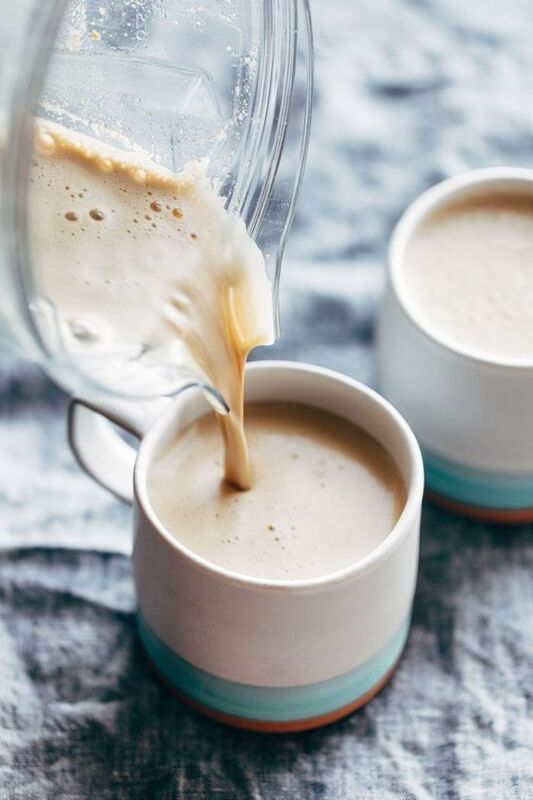 The creamiest morning coffee you’ve ever had! Made with just coffee, cashews, honey, and sea salt. Blend all ingredients for about 45 seconds in a high-powered blender. Start on a lower speed and gradually work your way up, ending with about 15 seconds on a very high speed to ensure smooth and creamy texture. Pour into a mug and enjoy, or chill for later (see notes)! Notes about cold vs. hot cashew coffee: Cashews straight out the package should blend just fine with hot coffee (although if you’re particular, just give them an overnight soak). If you want to a COLD cashew coffee, you have two options. Option 1) Blend everything while the coffee is hot and then chill it overnight in a jar with a lid. It will separate, so just give it a good shake in the morning and pour over ice and you’ll be good to go. Option 2) Soak your cashews in water for a few hours and give them a good rinse. Now they should blend up nicely with cold coffee – either cold press or just chilled brewed coffee. I used very coarse flaked sea salt in this coffee, so just a word to the wise that it might not be best to put 1/2 teaspoon of regular table salt in the coffee! That will be way too salty. If using table salt, just start with a tiny pinch and taste and adjust from there.